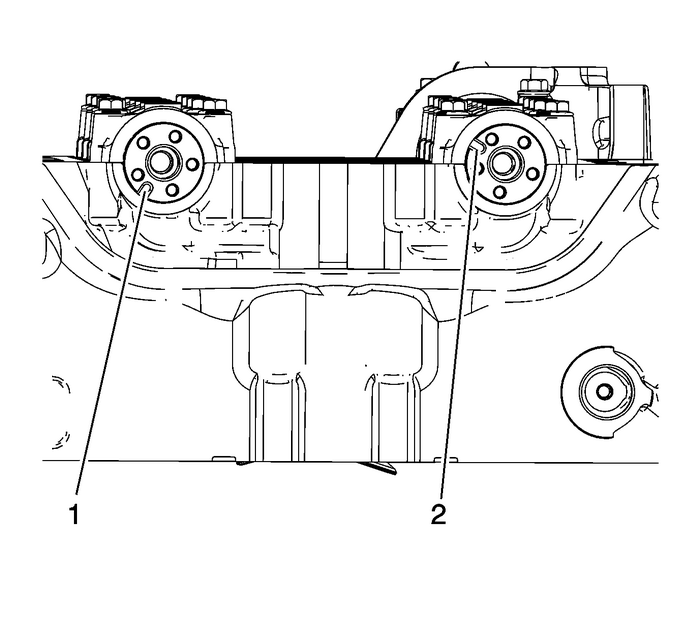 Rotate the crankshaft to installEN-48953locking tool-(1). Note:Marking the chain and actuators is crucial to proceduresoperation. The camshaft actuator and timing chain must have oilremoved from the surface prior to marking both actuators andchain. InstallEN-48953locking toolonto the cylinder head and tighten to10-Y (89 lb in).If the intake camshaft actuator is moving independent of cam and isnot locked, rotate the intake camshaft counterclockwise and thetool will hold the actuator, locking the actuator to thecam.Loosen the intake camshaft actuator bolt.Loosen the exhaust camshaft actuator bolt.RemoveEN-48953locking tool. 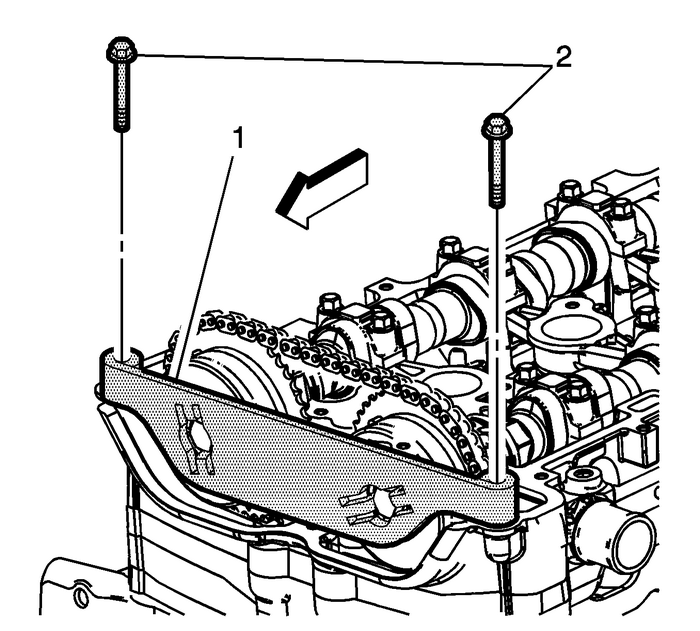 Remove the upper timing chain guide bolts.Remove the upper timing chain guide-(1). 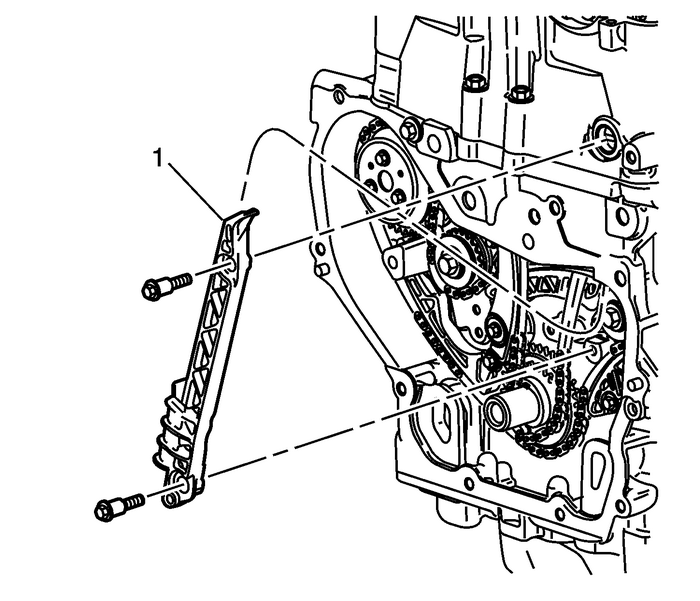 Note:The timing chain tensioner must be removed to unload chaintension before the timing chain is removed. 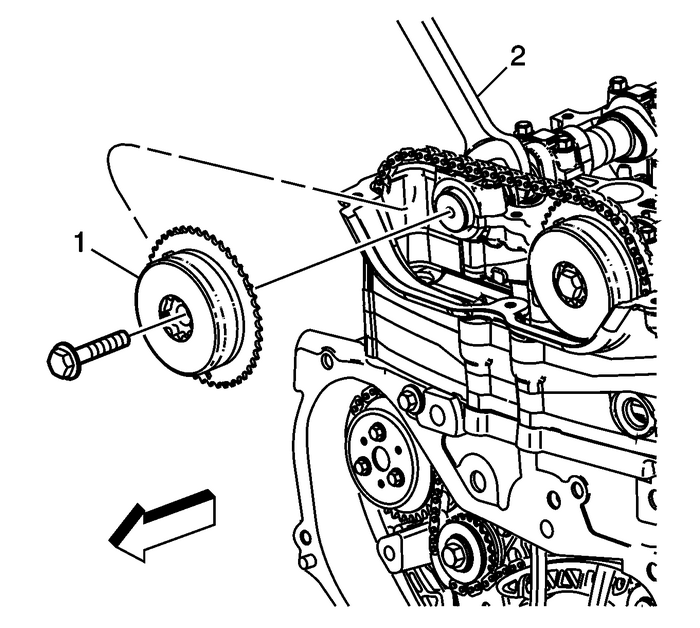 Remove the timing chain tensionerplunger-(1). Locate hex on the exhaust camshaft and hold with awrench-(2).Remove the exhaust camshaft bolt and the exhaust camshaftactuator-(1). Discard the bolt. 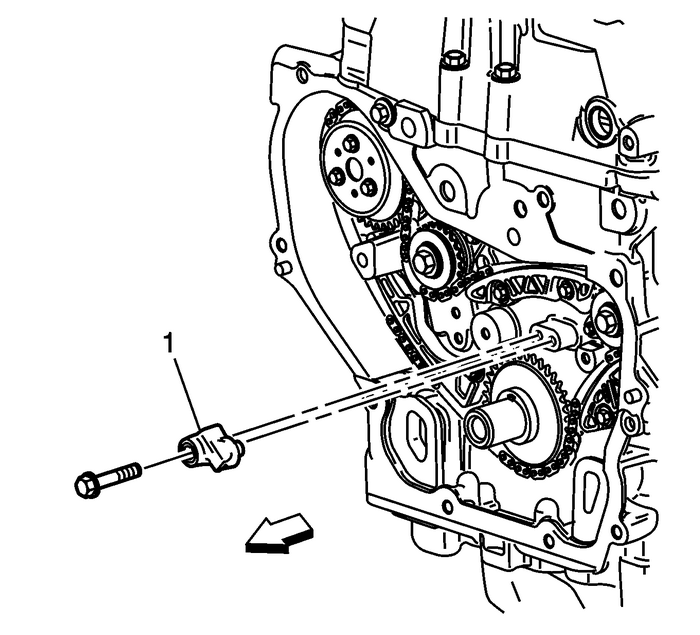 Remove the adjustable timing chain guide bolt.Remove the adjustable timing chainguide-(1). 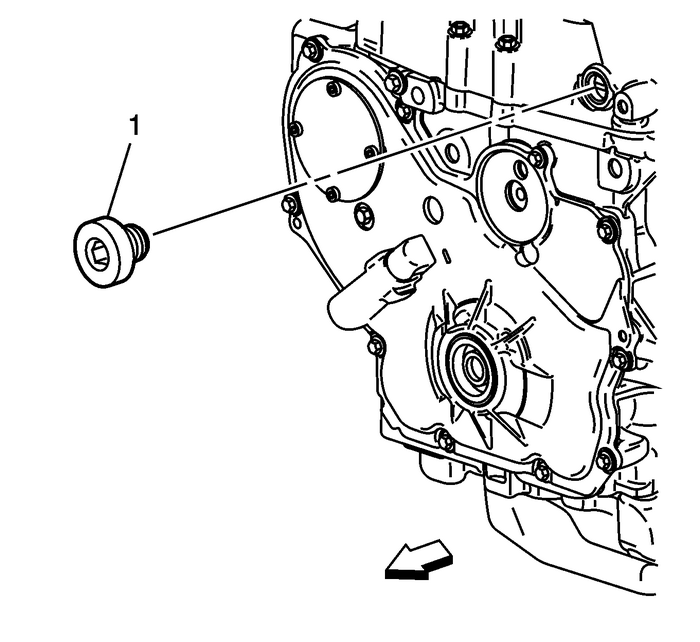 Remove the plug-(1) to gain access to the fixedtiming chain guide bolt. 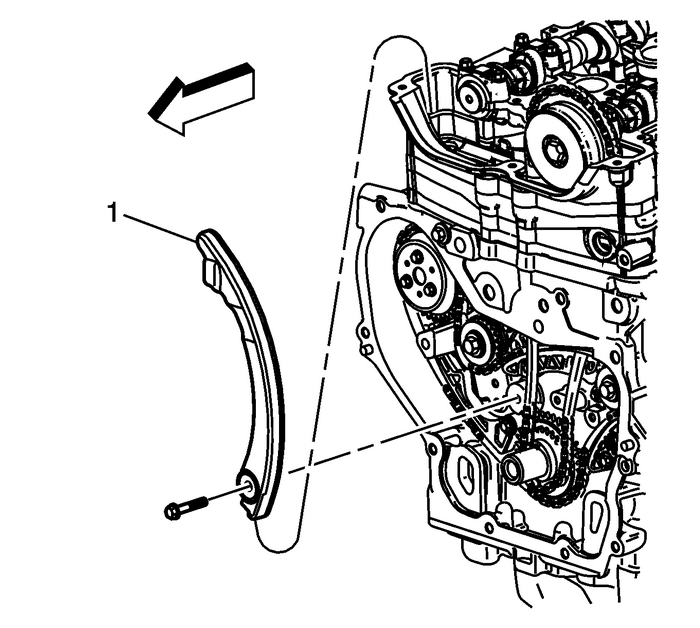 Remove the fixed timing chain guide bolts.Remove the fixed timing chain guide-(1). 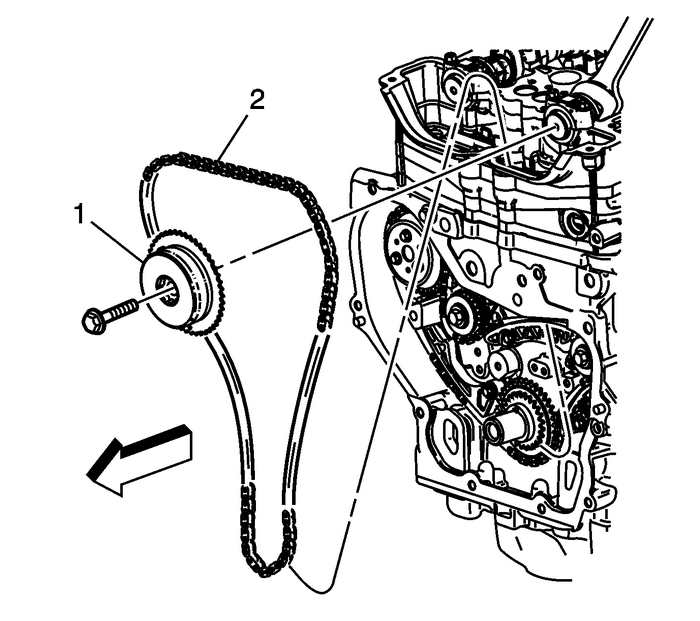 Locate hex on the intake camshaft and hold with awrench.Remove the intake camshaft actuator bolt, the intake camshaftactuator-(1) and the timing chain-(2) throughthe top of the cylinder head. Discard the bolt. The number 3 exhaust valves are open.Note the position and direction of the camshafts beforeremoval. 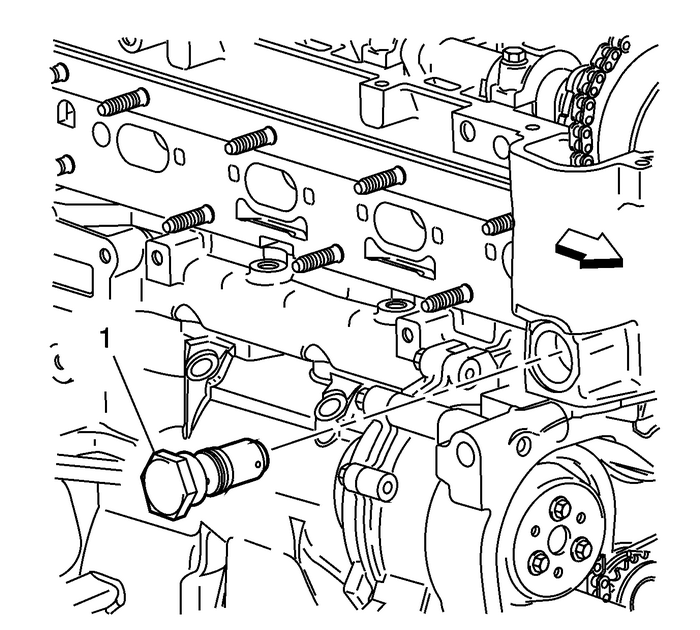 Mark the cylinder head in relation to the locking notchesbefore component removal.Mark the cylinder head where the exhaust camshaft actuatorlocking notch-(1) and intake camshaft lockingnotch-(2) are lined up with the cylinder head. 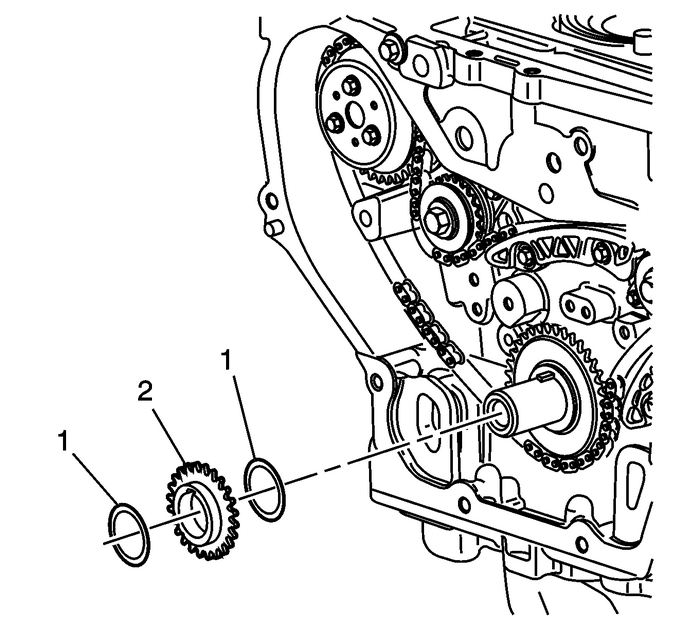 Remove the crankshaft sprocket-(2) and frictionwashers-(1), if equipped. 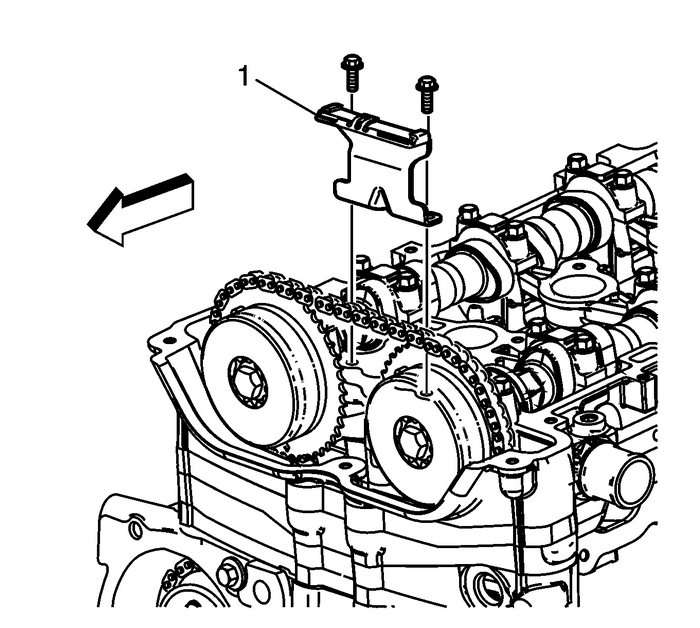 Remove the timing chain oil nozzle bolt.Remove the timing chain oil nozzle-(1).